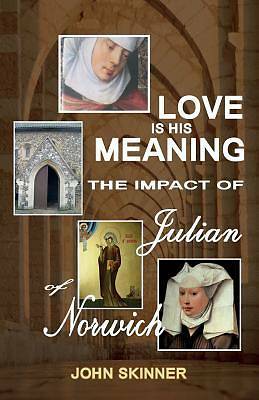 JULIAN OF NORWICH, England's greatest mystic, became the first woman to write in the English language when she recorded her Sixteen Showings revealing an intimate message of God's love and well-being for his human family. In the week of May 8, 1375, she suffered a series of visions centring on the final sufferings of Christ. Following this overwhelming experience, she became an anchorite in a cell attached to the tiny church of St Julian in the city of Norwich. And here she spent more than twenty years in prayerful contemplation, eventually recording her Showings. The first woman to write in the English tongue, her writings only came to the fore at the beginning of the twentieth century; they have gained a growing audience worldwide ever since. John Skinner's modern translation, A Revelation of Love (published by Gracewing in 2004), with its inclusive language offered a fresh approach to Julian's powerful message of God's love for his human family. The aim of his latest work is to enable newcomers to Julian to understand her complex theology and penetrate her deepest meaning. Using the major part of his original translation, Skinner inserts commentary and interpretation into the text. The result is a flowing account of Julian's work where her voice is to be heard ever more clearly.